When it comes to healthy snack foods that taste great it's hard to beat Soybeans. Their natural nutritional content and smooth, buttery flavor make them ideal treat for healthy snacking. NOW Real Food Dry Roasted & Unsalted Soybeans are as real as it gets-all-natural, Non-GMO soybeans sustainably grown and processed using a proprietary chemical-free method and the dry-roasted to eliminate moisture and increase shelf-life. 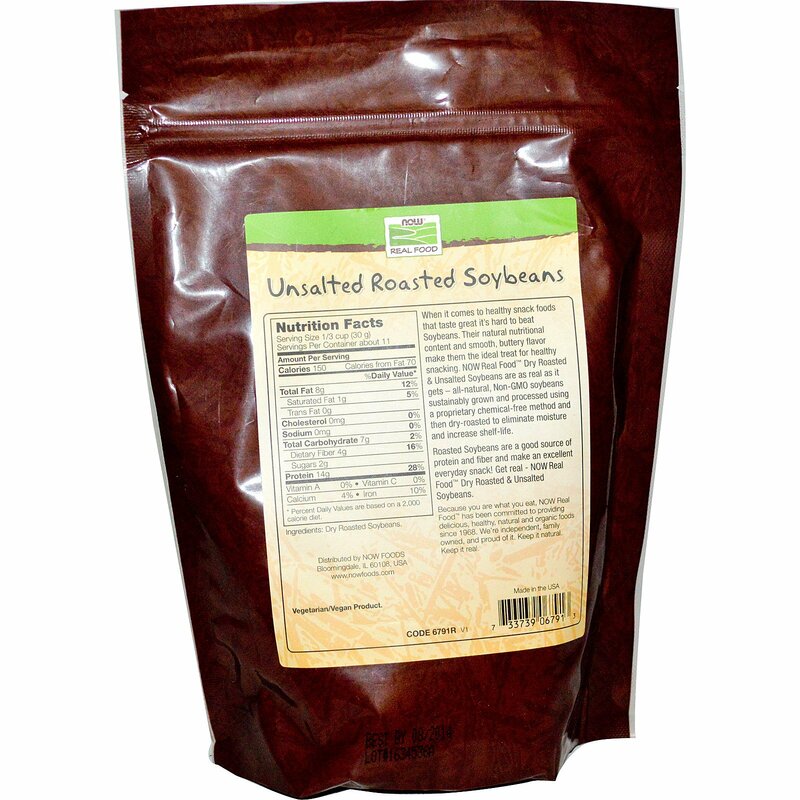 Roasted Soybean are a good source of protein and fiber and make an excellent everyday snack! 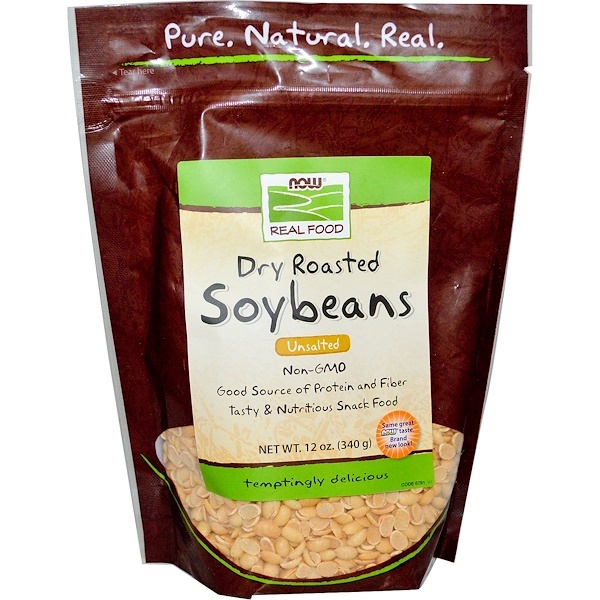 Get real- NOW Real Food Dry Roasted & Unsalted Soybeans.